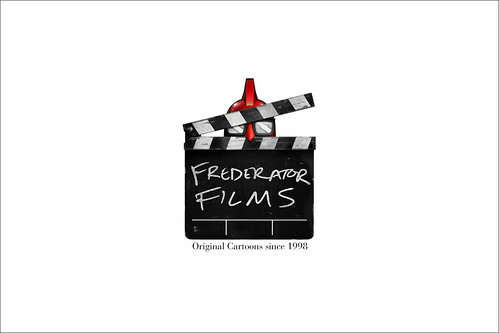 We’ve shown you guys the Frederator Films logo (designed by animator Floyd Bishop), but this is the first time anyone else will see it. The cartoonerati are probably way ahead of me on Cartooncrazy, but I still drool when I see all the stuff that should have been in the Hanna-Barbera warehouse. 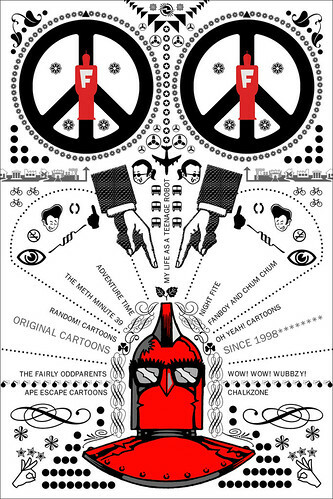 Blog History of Frederator’s original cartoon shorts. Part 22. Part 1. Part 2. Part 3. Part 4. Part 5. Part 6. Part 7. Part 8. Part 9. Part 10. Part 11. Part 12. Part 13. Part 14. Part 15. Part 16. Part 17. Part 18. Part 19. Part 20. Part 21. A server failure at our website caused the loss of our frame grab gallery of What A Cartoon! shorts. It seemed like a good push to add a post to our history. What A Cartoon! was still an unnamed project of 48 “Looney Tunes length” shorts with more hope than actuality when we started taking pitches in earnest in 1993. 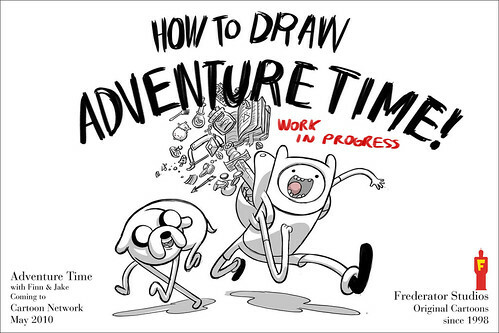 No one had attempted anything like this before in the television animation era, and I wasn’t sure that anyone else shared my optimism at the beginning. The Hanna-Barbera development team, led by Jeff Holder and Ellen Cockrill, with significant input from production head Buzz Potamkin, dug right in. They got the word out, literally all over the world, that the studio had entered an unprecedented phase, and that we were looking for the ideas from all corners. 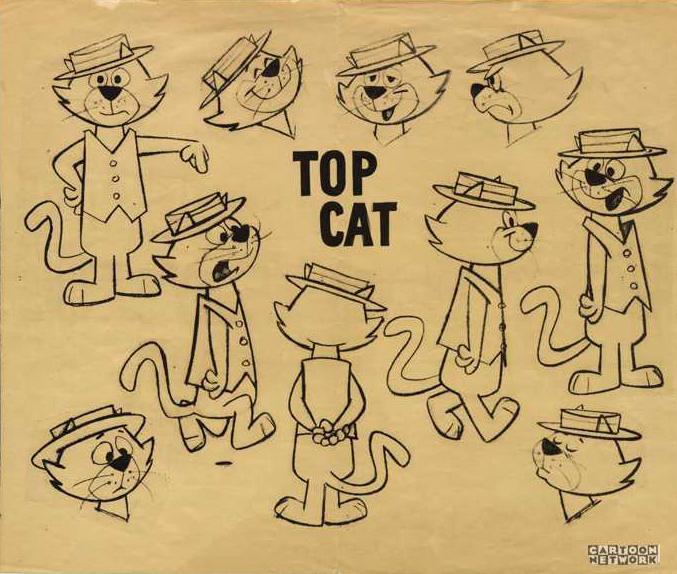 No longer would ours be a top down studio; animators had a better idea what cartoons should be than executives and we were out to support them in every way we could. Eventually, we received storyboards from all over the world, thousands of them. Many from within the studio and from the Los Angeles industry, but from also from schools and international centers of animation. (Occasionally, we even used the then brand new technology of video conferencing to take uncomfortable pitches from Turner Broadcasting’s London office.) In all, the development group estimated we received over 5000 pitches for the 48 slots we were planning. I was hoping for an idealistic diversity in our filmmakers that could solve the inequities of our business overnight. It wasn’t just a uptopian hope either; I’d seen the direct benefits in other creative businesses like movies, television and music. The wider the palette of creative influences, the wider and bigger the audiences. It was time for cartoons to go in the same direction. And while we received a smattering of pitches from people of color, women, and international creators, it would take us at least 15 years before I really started seeing a clear progression. But, as it was, we had creators from Europe and Canada (like Bruno Bozetto), Asia (like Swamp & Tad), the heartland of the US (Jerry Reynolds), and colleges (like Seth MacFarlane). 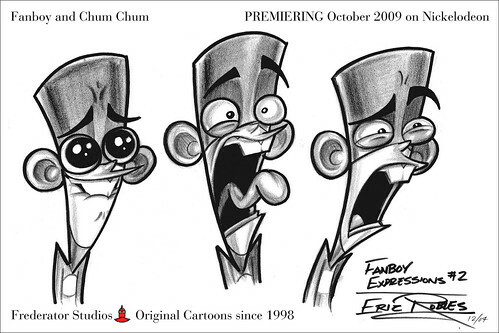 There were plenty of young series first timers (like Genndy Tartakovsky, Craig McCraken, Rob Renzetti, Butch Hartman, and John Dilworth), but veterans too (like Don Jurwich, Jerry Eisenberg, and Ralph Bakshi). All in all, it was an incredible process with amazing results (yes, I’m aware of my justified hyperbole). 5000 pitches begat 48 shorts and seven series. No studio had attempted this scale in 30 or 40 years. Each creator was treated just so, as a filmmaker, not a factory worker with hands to do the bidding of management. And though our ends were definitely commercial, I think the results were almost like art films. Not too many voices in the mix, just one creator (or creating team), one film. I’m very proud of the work everyone did on the What A Cartoon! shorts (eventually promoted as World Premiere Toons on Cartoon Network). Whether it was the development and production groups, marketing, PR, even accounting, we were all there to support the creators who put their asses on the line, pencils on the paper, and came up with original work in a business that hadn’t been interested for a very long time. Viva cartoons! Video frame grabs from What A Cartoon! To me, the Fredbot (designed by Arlen Schumer, illustrated by Eugene Mattos) looks great against all this black and white. Illustration inspired by Lorenzo Petrantoni in Newsweek. Jeaux Janovsky in the house. 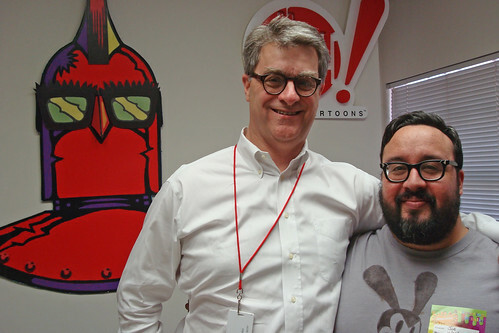 It was great catching up with artist Jeaux Janovsky (late of Channel Frederator) a couple of weeks ago at Frederator Studios in California. He showed us his latest projects and let us know what he’s been up to since moving back to the left coast. Dig Jeaux’s hand drawn Oswald T! Series 8 in Black & White. OK, we’re at it again. The 8th series of Frederator postcards goes in the mail this week, starting with a commemorative for the premiere of Eric Robles’ Fanboy and Chum Chum, and continuing until around February. I won’t say much more about the series yet, other than to tell you how much I like the raw, black & white drawings that animation artists often start with on their projects.